Experience the NEW ReZENerate Nanofacial! At the intersection of beauty and technology, Rezenerate has been coined The. Best. Facial. Ever. Nanotechnology science is changing the world. It has produced better medicine, better electronics, better air quality, and now better skin care. Rezenerate uses nanotechnology to create their unique tips. According to the National Nanotechnology initiative, nanotechnology is “science, engineering, and technology conducted at the nanoscale, which is about 1 to 100 nanometers. As a frame of reference a single sheet of paper is 1000,000 nanometers thick. Utilizing the tools created with nanotechnology, Rezenerate developed a custom array of pyramid-like nano-structures known as the Rezenerate chip. The base of each pyramid has a diameter less than 1/3 that of a single strand of human hair with the tip having a diameter of less than 1/10,000 of a single strand of hair. This precisely engineered structural shape for their nano pyramids combined with cutting edge raw materials is used to create a proprietary formula consisting of 99% mono crystalline silicon. 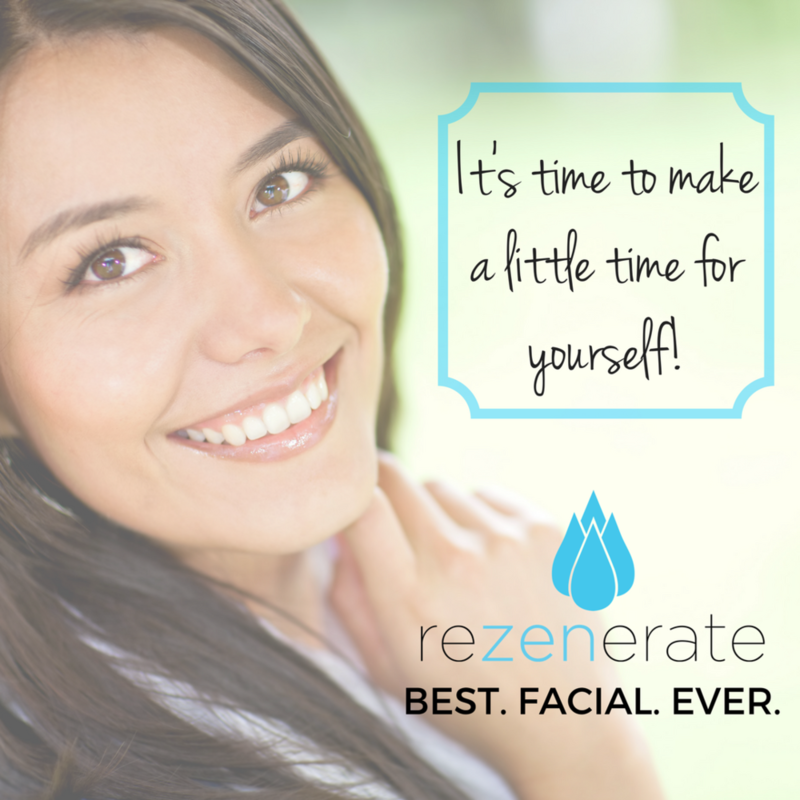 Your Rezenerate treatment will encourage skin cell turnover rate, enhancing your skin’s natural desquamation process. As we age, our skin’s ability to shed dead skin cells slows, resulting in dull, uneven, or rough skin texture. The Rezenerate will then create micro permeations into the stratum corneum, our skin’s outer most layer, allowing active serums to penetrate into the skin more effectively, delivering you the best possible results, both short and long term. Immediately after your treatment, you will see improved tone and texture, restoring skin to a beautiful healthy balance and luminosity. The epidermal layer of the skin is rejuvenated and the conditioned skin retains a healthy plumpness, minimizing the look of fine lines and wrinkles. 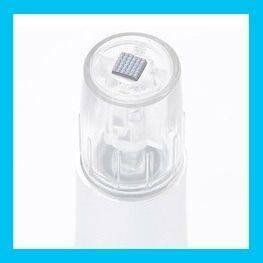 This groundbreaking nanotechnology allows for maximum absorption of targeted serums. Whether you’re combatting aging, blemishes, sunspots or other skin issues- direct delivery of these serums right to the edge of the dermal layer will restore the ideal micro-environment your skin needs for optimal function and regeneration. In a matter of days, a brand new, smoother, more radiant and even toned layer of skin will start to appear. Over the course of two weeks, the delivery of targeted serums to the top of the dermal layer in conjunction with the Rezenerate Nanofacial, awakens the skin’s collagen-producing cells, which become sluggish and stagnant as we age. You’ll start to see an increase in skins firmness and elasticity. Skin is left with an invigorated, youthful appearance. Long term improvements can continue to be seen for weeks even after a single facial. Read on to hear directly from the company itself! Supporting worthy causes such as Save the Children – Gulf Coast Floods Children Relief Fund, the Dana-Farber Cancer Institute, and DAV (Disabled American Veterans). Rezenerate is proud to offer the only cosmetic facial system on the market utilizing actual, scientifically verified Nanotechnology! The National Nanotechnology Initiative defines ‘Nanotechnology’ as the “science, engineering, and technology conducted at the nanoscale, which is about 1 to 100 nanometers.” One nanometer is a billionth of a meter. (To put that in perspective, there are over 24 Million nanometers in one inch!) Rezenerate offers a 100% guarantee that our products have been scientifically verified and certified as Nanotechnology. Other companies may claim they are utilizing Nanotechnology, but you’d quickly discover it is simply as a buzzword. The Rezenerate System was created to be the perfect marriage between beauty and science and garners incredible, never-before-seen results. Book today to experience this innovative treatment! What IS a facial? And a bit more about me! If you’re ready to take charge of your skin’s health and reach your full skin potential, I will work with you to reach your individualized goals. I believe that there are no “one-all” solutions to your skincare needs. You are unique and deserve a passionate and dedicated practitioner of holistic and effective proven practices to obtain all your skincare and relaxation goals. So…What exactly happens during a facial? A full hour relaxing facial treatment involves deep cleanses and towel steam preps the skin perfectly for exfoliation. Next comes the neck, shoulder, hand, and arm massage that delivers you into a calming state of relaxation allowing your body to recover from all life’s unnecessary stresses. The facial massage is designed to stimulate collagen and elastin growth leaving your skin feeling and looking firmer and healthier than before. Have you tried a Facial Peel before? My clients love the results from their peels which reveals a brighter, smoother, complexion. With regular treatments you’ll see a softening of fine lines and your anti-aging or acne fighting products that you may use at home will absorb deeper into the skin, giving you the best possible results. Visit me for a treatment and watch as your skin transforms, gaining your well-deserved confidence in the beauty of your natural, radiant glow. For the utmost luxurious experience, you must give, what is appropriately been coined, the F.A.B Facial, a try! A Face and Back treatment combines any facial of your choice with a Back Facial which address’s any skincare concerns you may have on your back, leaving you with glowing skin even in the places you can’t reach. Rebecca Gray, New York State Licensed Esthetician, is also Face Reality Certified, which is known in the industry as “the most comprehensive acne specialist training available.” Rebecca takes a personal and compassionate approach with all her clients. Combined with years of study and practice Rebecca can help you conquer any of your skin issues, even if it’s just to give yourself the self care you deserve. Rebecca also offers precise facial waxing, body waxing, brow tinting, and body treatments. Call or text Rebecca directly at 518-744-7452 and book yourself that much needed “me” time! Click your favorite social media icons below!